Our returning client is now looking for a good family cook who is also happy to do a little housekeeping. The family are from Italy and Azerbaijan and have an 8-year old son, therefore family-style cooking would be desired. 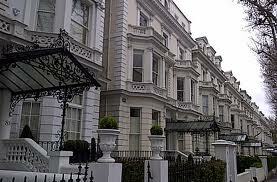 The family home is located a few minutes walk from the Chelsea football stadium. Working schedule: Monday - Friday, 7AM - 7PM (with a break during the day). If babysitting is required on the weekends, the housekeeper will have time off in lieu.